There are cases of bogus issues also which waste a lot of time of the support staff. 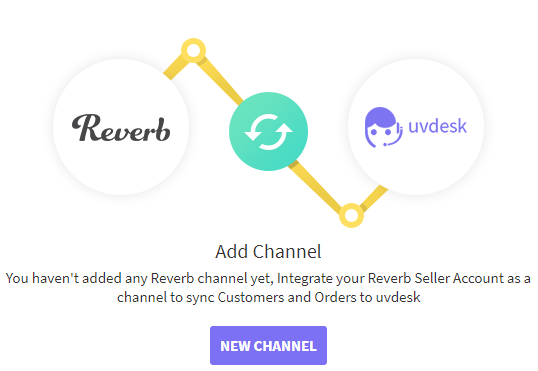 In order to validate the customer, we have Reverb App in which the support staff or the agent can fetch the order related details from the Reverb to the ticket system of UVdesk directly. In this way, no genuine customer will be missed and the agent can avoid the fraud cases. On the Dashboard, you will see "APP CENTRE" menu and under it, you will find "Reverb". Click on that button and Reverb App will get installed. Alternately, for uninstalling the app, go to Reverb "Overview" section then click on Uninstall button. Enter the Channel Name and click on Add Channel button. 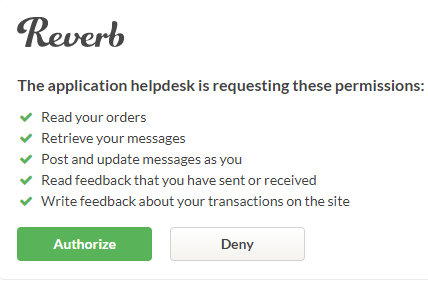 Now, you will be redirected to the Seller Account of Reverb. Login and permit UVdesk App to Access your account.